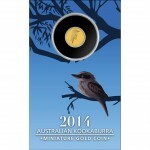 This issue joins two other similar series - the Mini Roo Gold Coins and the Mini Koala Gold Coins. The Kangaroo series debuted in 2010 with the Koala coins following in 2013. Mini Gold Coins from the Perth have gained a loyal following thanks to their annually changing reverse images and their affordability. 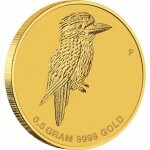 Currently, the Mini Kookaburra Gold Coin sells for just AUS $ 54.09. Each is found in a protective acrylic capsule and attached to a themed presentation card. The card shows a photographic image of a kookaburra. Specifications for the coin include gold content of 0.016 troy ounces, minimum gross weight of 0.50 grams, face value of AUS $2, maximum diameter of 11.60 mm and a maximum thickness of 0.70 mm. As mentioned, each is struck from 99.99% pure gold. The Perth Mint is no stranger to coins featuring likenesses of the bird. Kookaburra silver bullion coins first debuted in 1990 with numismatic versions such as the 2014 Kookaburra Silver High Relief Coin (released in April) adding to the line-up. 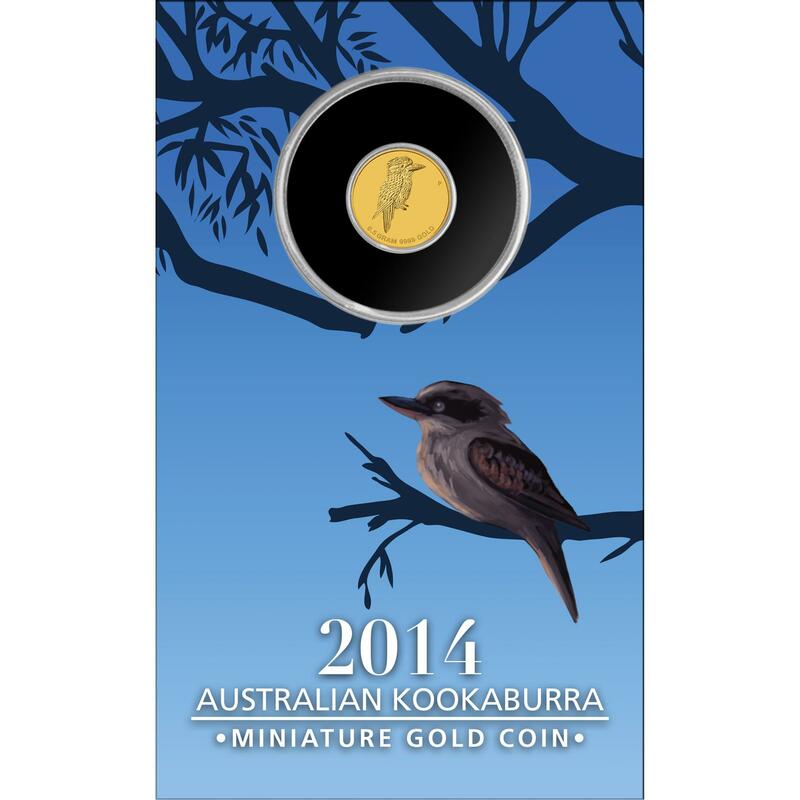 No mintage limit has been established for the Mini Kookaburra with the final mintage determined by customer demand.